M&S Parking: It may have stopped snowing, BUT . . . . It may have stopped snowing, BUT . . . .
After weeks of consecutive snow storms, NYC was finally spared any new accumulations last week. However, motorists were inundated with a different kind of precipitation. 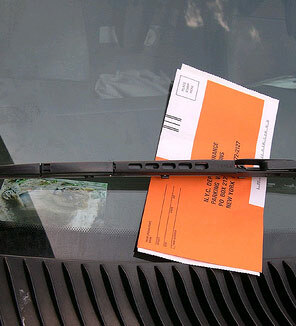 With the reinstatement of alternate side parking rules, Ticket Agents and Police Officers "rained down" a flood of NYC parking tickets on motorists - 9,910 parking tickets alone were issued on Monday, February 7th. This represents a nearly 82% increase over the average daily volume and could mean as much as $437,000 for the Department of Finance.